Did you know that raccoons can open the airtight, fire-ant-proof Gamma2 “Outback Vittles Vault 15” container with a screw-top lid? It’s true. Those bandit-striped opposable-thumbed varmints figured out how to open the cat food container so that they could enjoy Purina Cat Chow Complete (the blue bag) at 3 a.m. It’s now a game of outsmarting the raccoons. 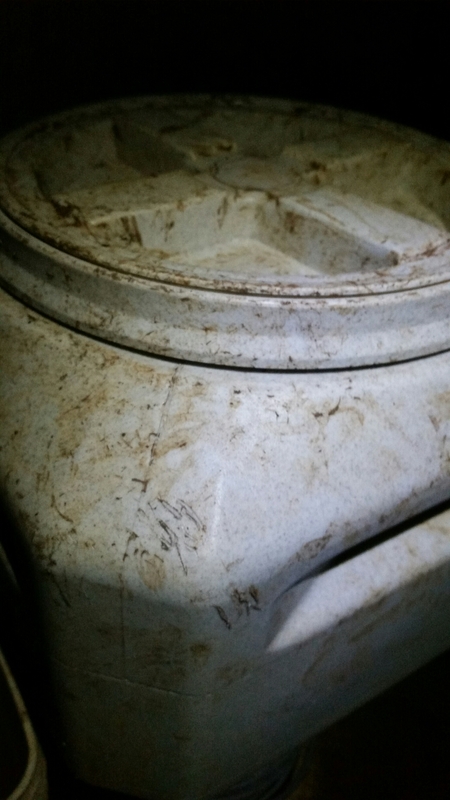 I walked out to the barn to find a pile of cat food on the ground and bite marks on the container. It can be a little disturbing to walk out to the barn and find three items tossed about the barn like a crime scene. I tried questioning possible witnesses, but the goats, donkeys and barn cats refused to speak. It’s now a nightly competition to see whether or not the raccoon wins a meal. Interestingly enough, the Vittles container fits perfectly in a plastic milk crate upside-down. I have discovered that the raccoon can lift a milk crate and a 10-pound spool of wire off the container in order to enjoy a buffet. 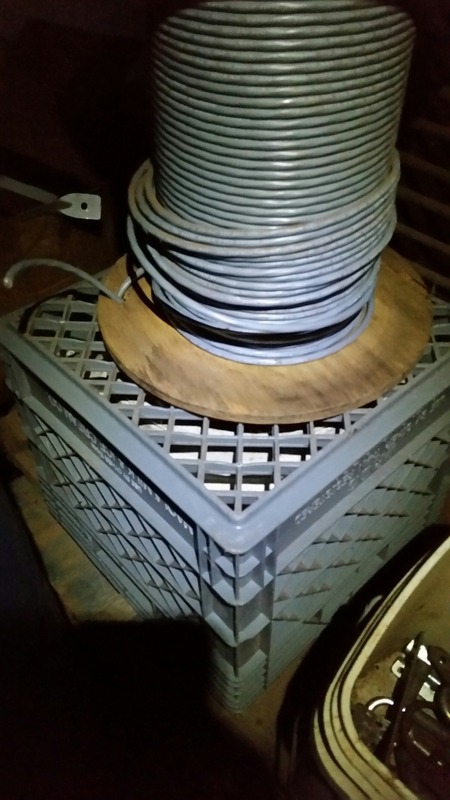 The raccoons can knock over the spool of wire, but they cannot get their little paws around the container when it is upside-down, and lift it from the crate. Yesterday, we found the Vittles Vault at the entrance of the barn where it had been tossed, end-over-end, yet still snug inside the milk crate. Today, the farmer went outside and found the Vittles Vault lid at the back steps of the house; at least a 100 yards from the barn. Just the lid…as statement that the vault was empty, and proof that they mastered the obstacle course. The discovery of the lid in the backyard, 100 yads from its origin was a bit creepy. Yes, my 3-month-old Vittles Vault 15 looks a little like the luggage on the Samsonite commercial where a bear tosses it in the air. It is covered with bite-marks and scratches. Yet it still maintains its airtight seal and is a well-made container. I highly recommend it. Now to figure out what they want. We must brush up on our “raccoon whispering”.